The Sierra Rescue knife was made for the Protezione Civile Regione Lazio (Lazio Department of Civil Protection). 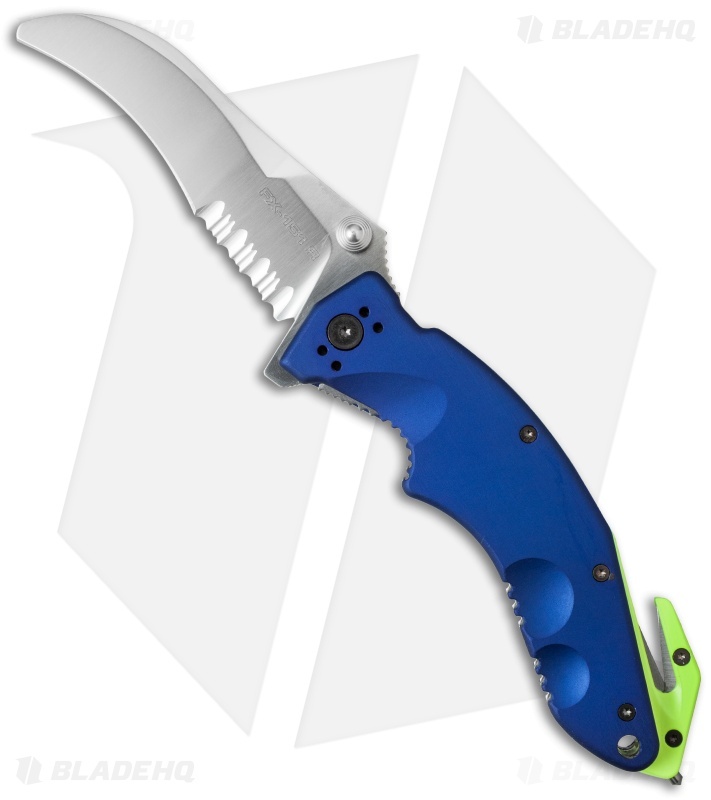 It's a proficient rescue knife with a blunt-tip modified hawkbill blade. 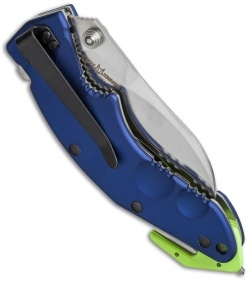 Deploy the Bohler N690 stainless steel blade using either thumb stud or the flipper tab. The handle has a sturdy stainless steel liner lock frame with blue 6061-T6 aluminum scales and a reflective strap cutter back spacer with glass breaker tip. Includes an ambidextrous reversible left/right hand tip-down carry clip.